Our classes are down to earth, welcoming and approachable, with different levels offered to suit a range of abilities. Expect to get moving and work up a sweat, but leave feeling stretched out and relaxed. You'll learn how to work with the abilities and limitations of your own body, and how movement can help you regulate your stress levels. We have a wide range of students: from stressed out city workers, to athletes wanting to minimise injury in their sport, to stay at home mums, and everyone in between. And men don’t need to be nervous - you won’t be the only one in class (and no you don’t have to be flexible already to do yoga!). 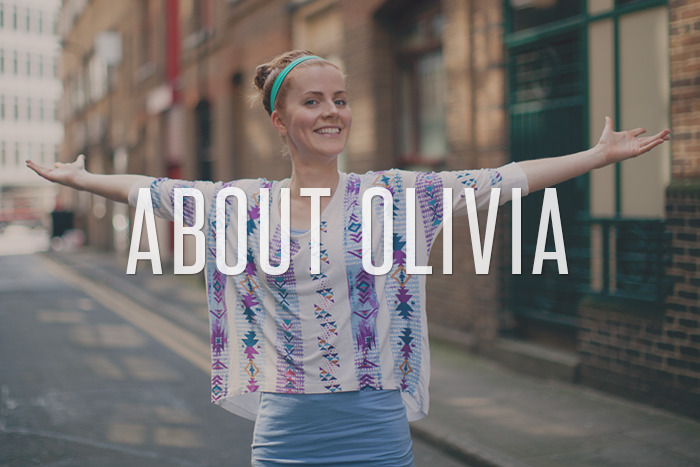 Olivia specialises in clear and concise instructions, and in breaking down seemingly complicated postures into easy to manage steps to make them accessible to her students. She runs her own public classes on St John Street in Farringdon/ Clerkenwell; hosts private clients both near Old Street in Shoreditch and across London; and also teaches at a number of studios and in house at businesses across the city. We offer private classes in your home that can be more specifically tailored to suit your requirements, including short courses for individuals or small groups. We can even bring yoga to your workplace! Please see our classes page for more information. Sign up to hear when we upload another free online class; for tips to help improve your practice; links to blog posts that support your learning; and information about upcoming workshops, retreats and events. We hate being overloaded with newsletters as much as you do - you'll only hear from us every so often!